We all know that businesses just starting out need the support, financial or otherwise, of big corporate companies. But what you might not realise, is the impact Startups can have on the inner workings of some of the largest companies in the world. Businesspeople have been sticking to traditional models and structures for years, but now emerging out of Perth are corporates wanting to facilitate innovation, through learning from Startup entrepreneurs. Why, you ask? Because Startups are proverbial risk takers. Their professional independence means there’s a welcome absence of structure, and an endless amount of places to take their ideas. Their innovation process is worlds apart from the corporate one. The Atomic Sky team are proving it’s all about a Lean Startup approach that brings innovation to a corporate enterprise. To get the word out, we’ve started getting corporates into the Startup environment. 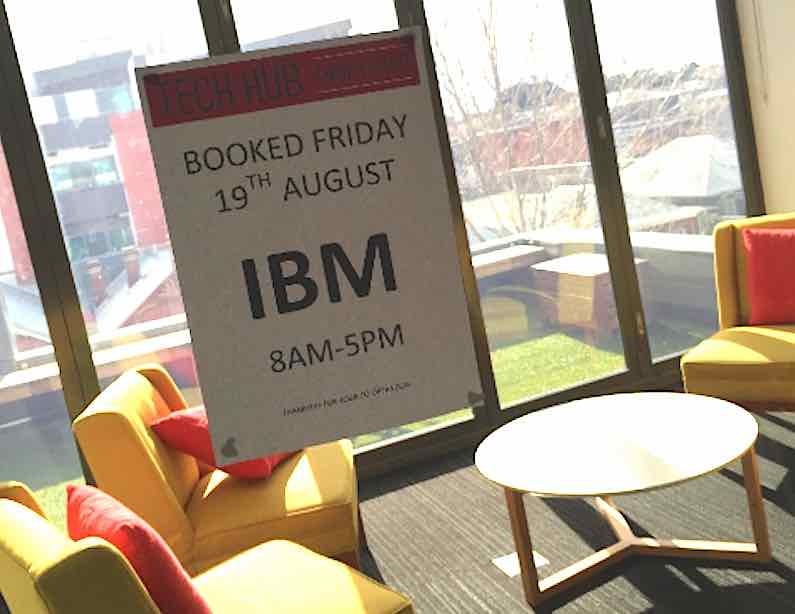 Off the back of the Lean Startup concept, we are having external companies use the Tech Hub meeting rooms, starting with IBM. They came at the end of August, and really enjoyed the ‘out of office’ experience. The Tech Hub is still central to the CBD but a slightly out of the hustle and bustle. It’s fast becoming a spot for corporates and government agencies to break out and brainstorm in a vibrant workspace. Admittedly, there’s a bit of match making going on as well. By having corporates with their growth focus, and small businesses wanting to flourish in the same space, one word springs to mind: networking and collaboration. By connecting the two worlds that weren’t easily linked before, we’re living up to our name and are the hub for tech innovation in Northbridge. The aim is to not only provide a network platform for FinTech and data businesses, but also to show large corporations why Startup thinking is worth their while.